Pulling apart toys and appliances was a favourite pastime for Brad Burgemeister and his mates as children. It was an innocent quest to find out how things worked, but this inquisitive nature often found a young Brad uninvited from friends’ houses. Undeterred, Brad’s fascination with mechanics and electronics continued, and it paid off. Establishing Ice Burg Refrigeration and Airconditioning in 2007, Brad has become a trusted source of knowledge and skill when it comes to designing, installing and maintaining cooling systems. “I have always had a strong interest in the mechanical and electrical field, allowing a combined knowledge to illuminate into my designs and constructions. Calling on his interest in what makes things tick, Brand expanded into developing industrial control systems in 2013, and has specialised in commercial refrigeration for the past 10 years. 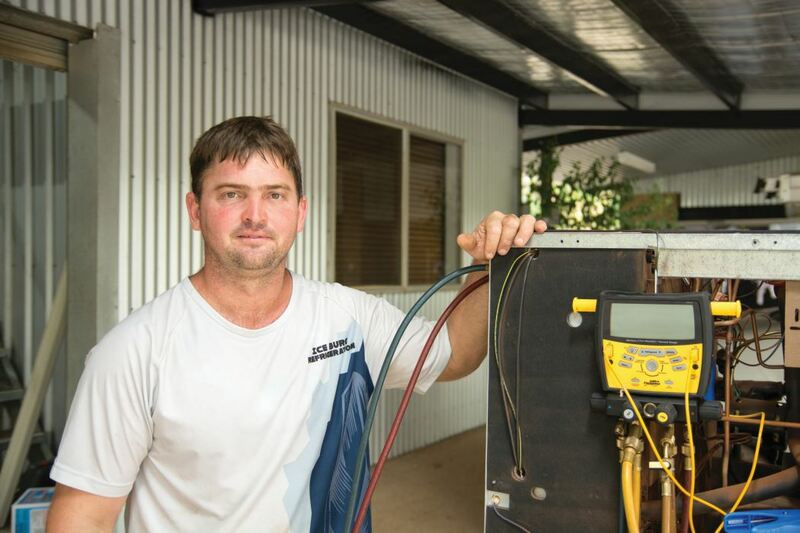 “Being locally owned, and a long term Territorian, I understand the unique requirements of Territory businesses in air conditioning and refrigeration. Ice Burg Refrigeration and Airconditioning now offers in-house digital designing using CAD. It’s an area Brad plans to expand as the range of offerings and demand for his services continue to grow. Since obtaining his pilot’s licence, Brad has been able to travel to work and often flies to remote areas to provide preventive maintenance and repair of vital commercial refrigeration and air conditioning equipment. While his work is a highly specialised field, Brad plans to train and employ staff to assist as the business continues to grow. Making a career of something that once saw his younger self in trouble with the grownups has been a rewarding journey, and as the journey continues, Brad is committed to maintaining a high level of service and customer satisfaction.